The DIY Phone Gadgets community is so excited to introduce UDOO: Android Linux Arduino in a tiny single-board computer! Hopefully you have already received yours and already started your first UDOO project! Remember the bad old days when we were trying hard to squeeze Android into the Raspberry Pi? That was just 5 months ago. Well, perhaps we can already throw the Pi away and use something more powerful: the UDOO, who runs Android natively. What's more thrilling for DIY Phone Gadgets makers is that we don't actually need another Arduino board: Arduno is already on UDOO! UDOO merges different computing worlds in one; each world has its strengths and weaknesses, and all of them are useful today in education as well as Do-It-Yourself (DIY) and rapid prototyping endeavors. It is incredibly simple to make DIY Phone Gadgets with UDOO. Want to build a LED light-controller, a RFID reader or a creative game controller? UDOO allows you to create any kind of project and share it with the community.Combining the flexibility of ArduinoTM with the power of Android or Linux, you can create and update tons of stand-alone solutions without worrying about the linking between the two worlds and their wiring. With UDOO, companies can build high level prototype in a fast and easy way. UDOO provides companies with a powerful tool to create fast prototyping for any kind of needs. Prototyping with physical computing toolkits has become a widespread method for technology development, design exploration and creative expression. The board allows researchers and designers working for companies to quickly create and explore new interaction techniques and design devices in the protoptyping sessions of a project. 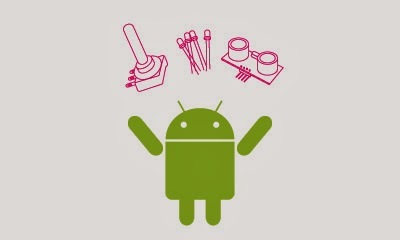 UDOO provides a full suite for developing prototypes based on Android platform alone or combined with ADK2012.